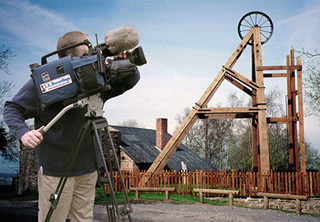 Area of interest: Digital cinematography & photography of Industrial Archaeology, particularly mining. Produce several new DVDs and Blu-rayTM discs per year. Publications: Web site, map notes and occasional leaflets. Archive collection: Copies of tapes, discs, and photographs. Details of main contents available on the web site. Activities:	 Digital cinematography, surface & underground. Additional information: I.A. Recordings is a voluntary organisation formed in 1982 to make moving picture records of historic industry. We have shot hundreds of hours of broadcast video footage, covering everything from Aqueducts to Zinc mines; creating an archive for posterity and providing copies on DVD and Blu-rayTM for sale to help fund the recording work. Mining is particularly well represented with hundreds of disused and working mines recorded both above and below ground, in the UK and abroad. Since February 2005 all new footage has been shot in 'High Definition'. See our award-winning website at www.iarecordings.org for many details and an A-Z index of mines recorded.